Monaco’s Mendy Too Costly For Suitors? 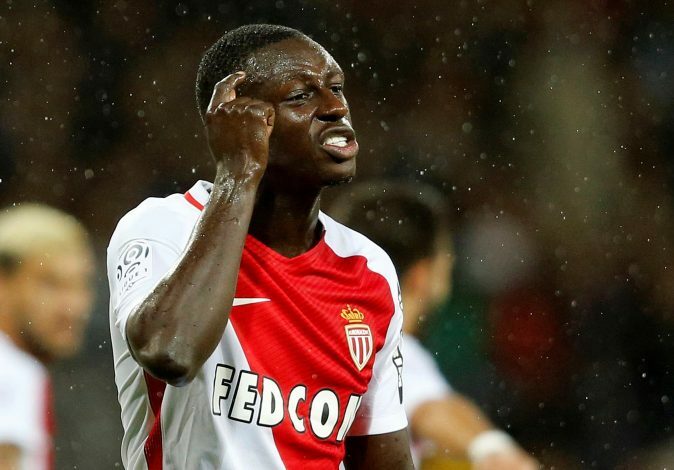 Monaco might just have prevented Benjamin Mendy from leaving the club by keeping away possible buyers, especially Manchester United, as they have slapped a huge asking price for their prized possession, as per Daily Record. The French defender has been deemed worthy of a minimum £65 million by the Ligue 1 club, which is almost double the money ever paid to secure the services of a fullback in football. The player was signed for a meagre £13 million from Marseille last summer, and has since been a heavy contributor in helping his team to the Champions League quarterfinals as well as to the top of the table in the domestic league. Monaco have taken the step in order to hold onto their player for next season, and the club will be doing so for the other players as well, so as to keep a good squad intact for their future. The club’s smart financial moves will see them earning at least £100 million this summer with the sales of Fabinho and Bernardo Silva, and after already receiving bids of £130 million for Mbappe, Monaco will surely cash in heavily on that in order to release one of the brightest stars in the world of football at the moment. With Luke Shaw out of preference in Mourinho’s line up, the left-back is a position United are desperate to strengthen in the summer, and with his aggression, power, speed, and good defensive and attacking abilities, Mendy is the perfect fit for Jose’s requirements, whilst also being the right balance to Antonio Valencia at right-back. Though Mendy is a target one would surely like to get their hands on, beating Monaco’s wise move and paying such a price will be a risk many might not be willing to take.